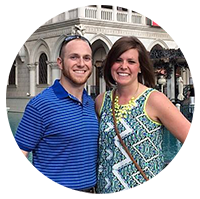 Our wonderful friends Matt and Lana were the reason we headed to Ireland in the first place – Matt is on a temporary assignment to Dublin and we missed them so much that we just had to go visit. They live in a small town just north of Dublin called Malahide. It was such a cool little Irish place! Lively pubs (with plenty of Guinness! ), awesome breakfast cafés, and some really amazing sights just steps from their door. Their apartment overlooks the Malahide Marina and that view was amazing! The spirit of the Rim Hugger list is in seeing beauty in places that most people would miss. To this point it has been about grand spectacles of places, but that is not a requirement for me to count it as part of this project. During our first run in Ireland, Mandy and I left from the Malahide Marina and ran along the beachfront road to the next town called Portmaranock. In terms of sightseeing, it was much different from previous list places but it was certainly no less exciting or beautiful! Irish beaches are much different than your standard PCB; there is no sand to be seen, just rocky coastline. We were there during a heat wave (it was 68 degrees – silly Irish!) so the beaches along the entire run were absolutely packed with people. This was a great run to lose ourselves in conversation and just enjoy soaking up the sun together. 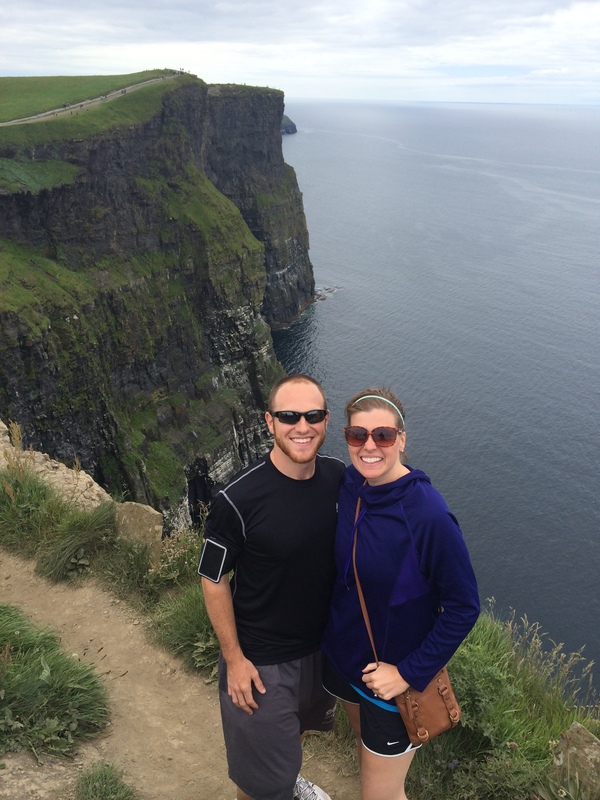 Later in the trip, Mandy and I took an epic bus ride across the country to head to the Cliffs of Moher. Between the train ride to Dublin, the bus ride to the West coast of Ireland, and doing it all again in reverse, we literally spent nine hours traveling to spend less than an hour at the Cliffs. But oh my gosh was it ever worth it?! We arrived and it was cloudy and somewhat dreary. As soon as we got to the Cliffs’ edge though the clouds parted and the sun came out to give us perfect weather for a run. 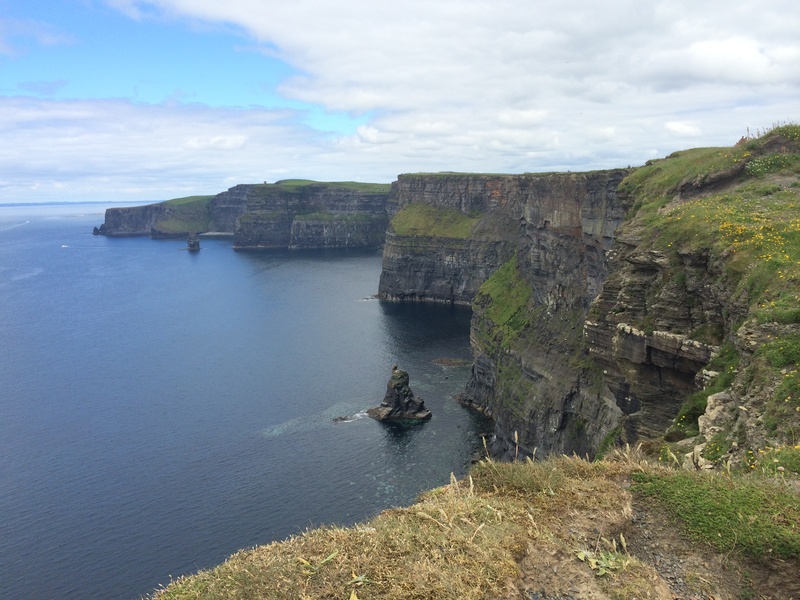 The Cliffs of Moher were astounding – 700-foot sheer drop-offs into the water. The magnitude of the height can’t be expressed through the photos here. I was blown away. But the best part? The trail that is normally carefully walked by tourists hoping to catch the perfect photo was exactly where we went for our run. It was difficult at first to squeeze our way through the crowds, but soon we had left the pack behind. We were off on our own running on a single-wide path that was less than a foot from the edge of the cliff. My adrenaline kept me from thinking about it then, but one misstep or one trip on a rock would have been all it took. I think this ended up being one of my favorite runs in the whole project though – the breeze from the ocean keeping me cool, sharing the experience with Mandy, and taking in one of the most incredible views I’ve ever seen as we ran. This one had it all. We filmed the little video below for all of you. – check it out! As always check out #rimhuggerlist on social media and follow our Instagram for more photos! This entry was posted in Rim Hugger, Travel and tagged fitness, ireland, rim hugger, running, travel. Bookmark the permalink. What amazing views!! Just incredible.